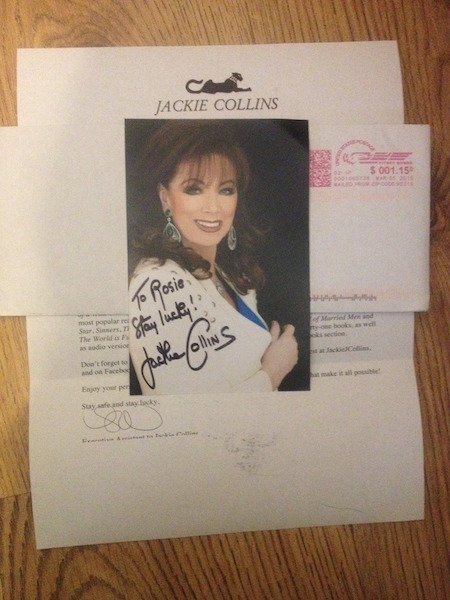 primetime27	 01-12-2015 02-05-2015 Success 24 0/1 Received a signed color 4 x 6 personalized picture. Robextend	 01-16-2014 01-27-2014 Success 11 0/1 Email request sent./Great success, thank you Mrs. Collins. primetime27	 10-15-2013 11-04-2013 Success 20 0/1 Received a signed 4 x 6 personalized picture. abdiz	 01-10-2013 01-16-2014 Success 371 0/1 sent a request for an autograph photo and received a 4x6 personally inscribed photo signed. Thanks Ms Collins!! primetime27	 12-31-2012 01-30-2013 Success 30 0/1 Received signed color 4 x 6 picture and letter from assistant.